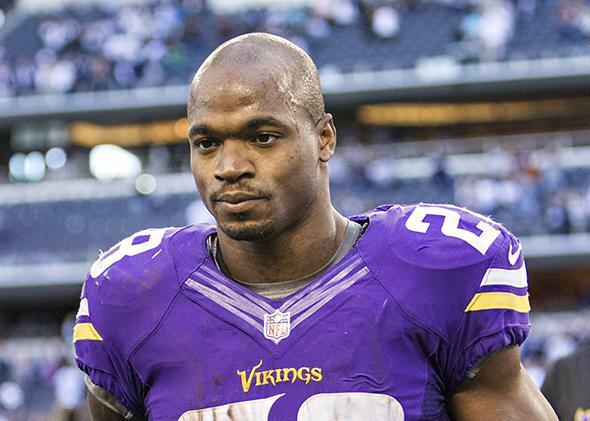 Adrian Peterson suspended: Vikings change mind. Peterson’s next scheduled court date is Oct. 8, unless he negotiates to have the matter resolved at an earlier date. Montgomery County first assistant district attorney Phil Grant said it could be several months before the case would go to trial. The NFL Players Association was informed of the Vikings’ decision to place Peterson on the exempt list and discussed its options regarding potentially challenging the team’s decision. Peterson, however, chose to accept the designation. He will receive his full salary, which is $11.75 million this season. Peterson did not play in last weekend’s game, but the Vikings had announced on Monday that he would return to the team.